Who cares about snowmaking machines when daytime temperatures in B.C. 's Okanagan Valley – home to Silver Star Resort – stays at -3 Celsius (27 Fahrenheit) and keeps light, powder snow under those slats and boards. It's all natural here. You'll find what you are looking for, regardless of your ability. Do your skiing or riding thing across 3,000 acres from groomed cruisers to the Putnam Creek steeps and into the Silver Woods glades. Silver Star’s village is reminiscent of a typical 19th century British Columbian mining town era with Victorian architecture. Boarded sidewalks and brightly colored shop fronts add a unique western flavor. Accommodations are ski-in, ski-out with condos and hotels. The Snowbird Lodge is luxurious and you also can enjoy some unique Victorian-style vacation homes. Silver Star averages more than 700 cm of snow annually (23 feet). There are 12 lifts, including a six-pack, four quads, a double, four surface lifts and two tube lifts. You'll ski or ride on 115 marked trails, the majority intermediate, but with plenty of beginner and advanced action. Enjoy cross-country skiing? Well, members of numerous national teams, including Canada and the U.S., will tell you Big White's Nordic trails are among their favorites. The resort is 22 km (12 miles) from Vernon. Easiest bet from there is to take the Vernon Airporter to the mountain. Driving? Connect with Highway 97 to Vernon and follow 48th Ave. to Silver Star Road directly to the resort. Airlines will bring you to Kelowna from across Canada and from Seattle. Silver Star's colourful Victorian-style village offers the convenience of ski-in/ski-out accommodations complemented by a selection of restaurants, bars, cafes, winter activities and weekly events. Four retail shops, ski rentals, repair, and lessons are available. Childcare for ages 18 months and up. Shuttle available from Kelowna airport. 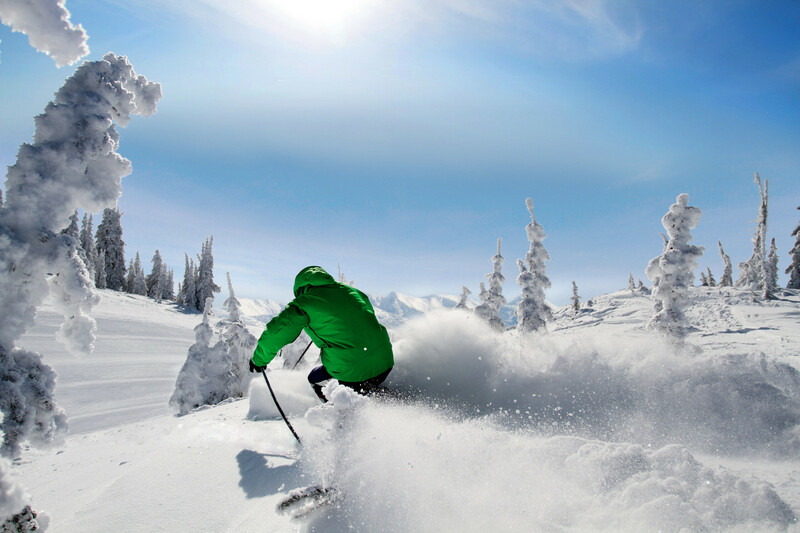 Get Snow Reports, Powder Alerts & Powder Forecasts from SilverStar straight to your inbox!